The best way we can help to maintain your oral hygiene is through regular dental assessments every six months. Here we can perform a professional clean, which involves removing tartar, polishing teeth and applying fluoride to prevent tooth decay. We can also educate you about ways to maintain oral health, complete a full dental assessment and diagnose any problems that require attention in the early stages, before they escalate into more complex issues. Your diet can play a large role in your oral health. Sugary foods such as sweets, cakes and juices all add a high amount of sugar to what you consume. When mixed with the bacteria in your mouth, sugar forms an acid that can erode the enamel on your teeth and cause tooth decay. Adults’ teeth are much hardier than children’s in this regard, but it still pays to be careful and limit this substance whenever possible. On the other hand, there are foods you can consume that will actively aid the health of your teeth and gums. Nutritionally dense foods help to provide the fuel your body needs to maintain good health, and an adequate calcium intake through sources such as milk and natural yoghurt will help with the bone density in your jaw, which is vital for the good of your teeth. If you smoke, it’s also strongly suggested to quit the habit, as smoking can seriously harm your teeth and gums. Most adults already know to brush their teeth twice per day – at least – but how many of them are doing it correctly? We tend to learn how to do this daily routine in childhood but are never given follow-up lessons or instructions. Brushing your teeth should take two minutes – one for the top row, and another for the bottom. Be sure to brush the gum line, but do not scrub too hard, as this can harm the gums. Use dental floss to clear the spaces between teeth, and purchase a new toothbrush every three months to ensure the equipment you are using is up to scratch. Interestingly, it’s also a good idea to wait more than half an hour after eating or drinking, as this is when the teeth are at their most vulnerable. It’s also important to use a fluoride toothpaste for brushing. While many kinds of toothpaste now offer whitening, breath fresheners and other features, it’s paramount to use one that contains fluoride. This ingredient helps to strengthen the tooth enamel, which fights the build-up of plaque. A good diet and a proper hygiene routine at home can make a big difference for your oral hygiene, but regular visits to the dentist should not be avoided for any reason. 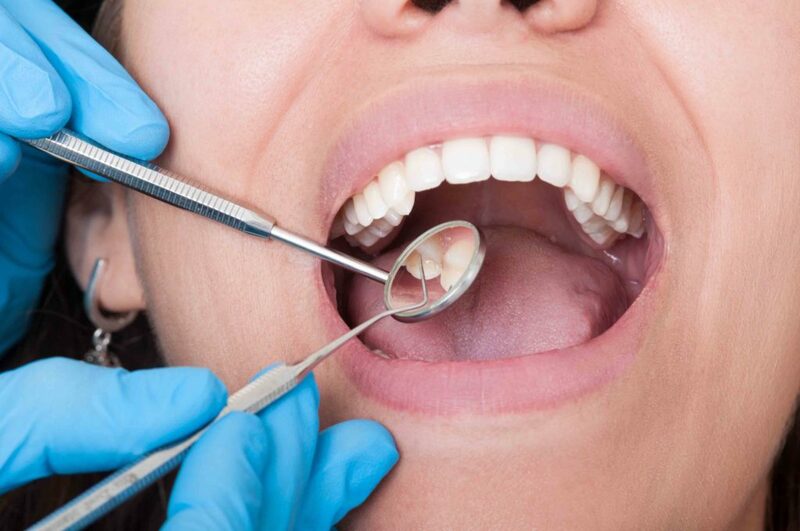 Your dentist is able to take a much closer look at your oral health, using professional experience and training as well as X-rays to determine the well-being of your teeth and gums. Often, he or she will be able to spot a problem before it occurs or worsens, and therefore save you from experiencing the discomfort that issues such as cavities can cause later on. When this is the case, regular visits can often save you from paying higher fees before a small issue becomes a big problem. Similarly, talk to our dentists about including a dental hygienist in your routine. While a dentist’s job is to assess and maintain your overall dental well-being, a hygienist focuses solely on your health. He or she will remove plaque from teeth, apply protective materials such as fluorides, teach you about ways to improve your brushing and diet and will screen for oral cancers to catch any problems before they occur.